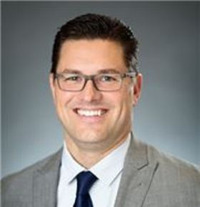 An accomplished sports physician, Dr. Casey Batten brings more than a decade of experience to his roles as the team physician for the Los Angeles Rams of the National Football League and as the director of primary care sports medicine for the Kerlan Jobe Orthopaedic Institute. In these positions, Dr. Casey Batten draws upon his work as a team physician at the University of California, Berkeley, and as an attending sports physician at numerous national and international athletic competitions. Dr. Casey Batten earned a bachelor’s degree in exercise science from the University of Wisconsin before going on to earn his MD at the Medical College of Wisconsin. He completed his medical training as a chief resident in family medicine at the University of Tennessee and as a clinical fellow in sports medicine at the University of California’s Davis and Berkeley facilities. In addition to his clinical work, Dr. Casey Batten stands out for his teaching and research accomplishments. Over the years he has taught emerging medical professionals at the University of California and other institutions, and he has frequently presented at conferences of professional organizations such as the American Medical Society for Sports Medicine.